ACTOR, director, writer and illustrator John D. Ruddy is bringing his new play, ‘Manny Man Does The History Of Ireland On Stage’ to Strabane’s Alley Theatre on Saturday, February 9. Based on John’s series of books and YouTube videos, watch the characters Syn and Oppy as they plough through Irish history with illustrated cut-outs and craziness as part of their nationwide tour of the island of Ireland. The play will take the audience from the Ice Age all the way to Ireland today in less than 90 minutes, with the same tongue-in-cheek humour Manny Man is known for. 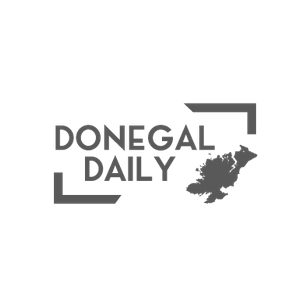 The performance is brought to you by An Grianán Theatre Productions, featuring acts John D Ruddy and Louise Conaghan and directed by Rachael Devir. Mr Ruddy says the Strabane public can look forward to a performance with something for all the family. “I’m very excited to bring the History of Ireland to life on stage across the country,” he said. “People can expect plenty of laughs, a couple of tears, and they might even just learn something if they’re lucky. Smart and entertaining, the new play is sure to please all ages, peppered with the tongue-in-cheek humour that is a hallmark of the Manny Man series.